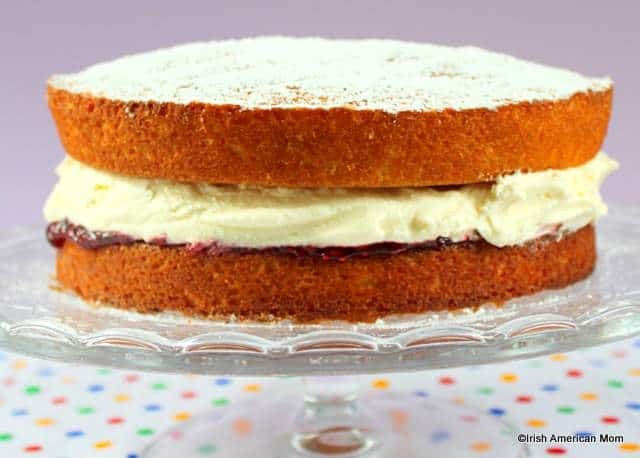 The Victoria Sandwich consists of two sponge cake layers sandwiched together with raspberry jam and cream, then dusted on top with confectioners’ sugar. This teatime treat became popular in England and Ireland during the reign of Queen Victoria, whose name this cake now bears. Originally caster sugar was sprinkled on top, but I prefer to use finer confectioner’s sugar. 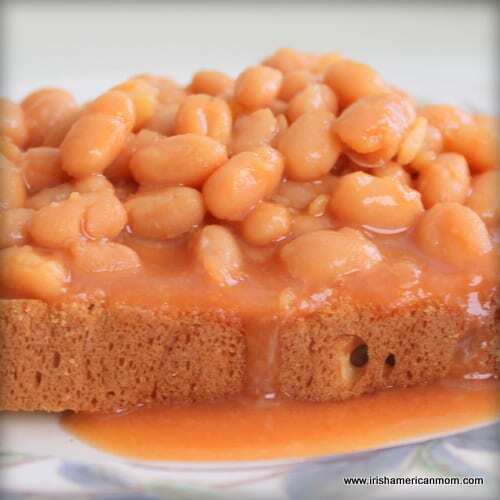 Being a quintessential English cake you may ask why I am sharing this recipe on my Irish blog. 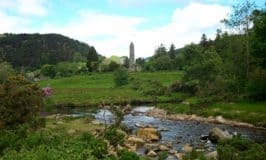 Much of Ireland’s favorite cakes and recipes were first created in England, but cooked throughout Ireland in the days of regal homes and land holding gentry. Remember Irish girls were the back bone of the work force in many grand English and Irish homes in days gone by. They cooked and baked with finesse in these busy kitchens, and when they visited their Irish relatives they brought these wonderful recipes home with them. No surprise, based on this cake’s name, that it is said to have been Queen Victoria’s favorite cake, and has now become a baking classic. However, this cake did not start off as an afternoon tea treat for English ladies and gentlemen. It was in fact invented for nursery tea time. Afternoon tea cakes at the turn of the 19th century usually contained fruits and seeds. 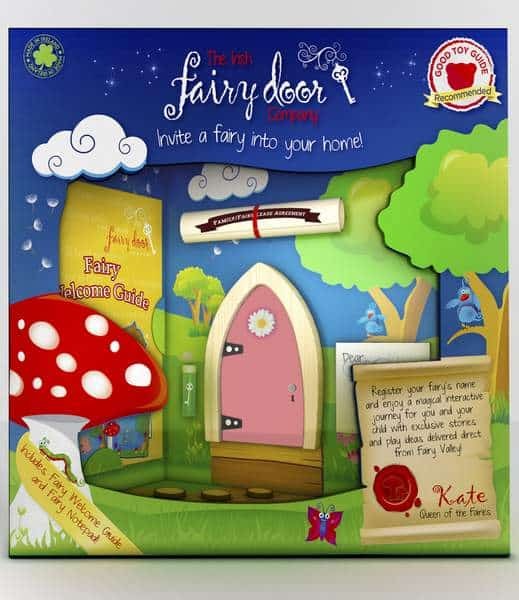 This, more easy to chew sponge, cake was created for safety reasons for little ones to enjoy. Less chance of choking on a plain old sponge. Perhaps Queen Victoria first tasted this delight in the palace nursery – she did have a big family after all. Then, once the queen herself started enjoying this butter sponge, it became a classic Victorian era afternoon treat. And remember this is a perfect party cake – full of spongy goodness. This recipe is my family’s go-to cake for birthday celebrations. Traditionally it is served sandwiched with jam and fresh whipped cream, but buttercream frosting is a perfect pairing, opening up many possibilities for decorating. This versatile cake also makes a super-simple, yet tasty wedding cake. 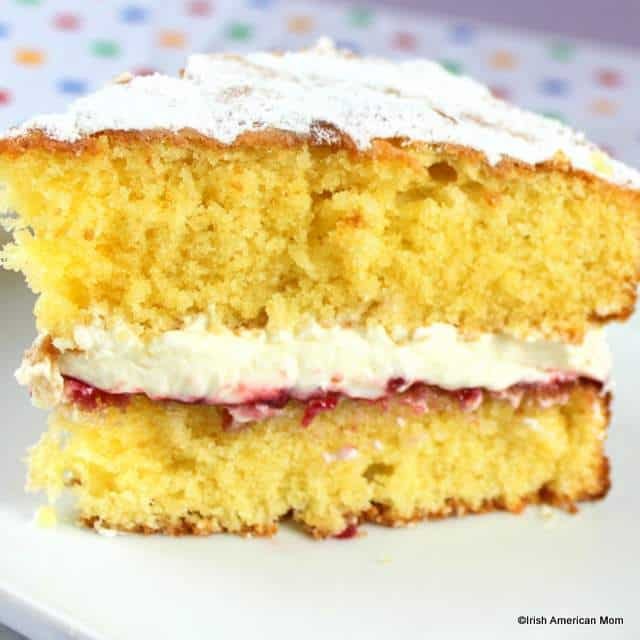 Today, I’m going to share my basic traditional Victoria Sandwich Sponge recipe. 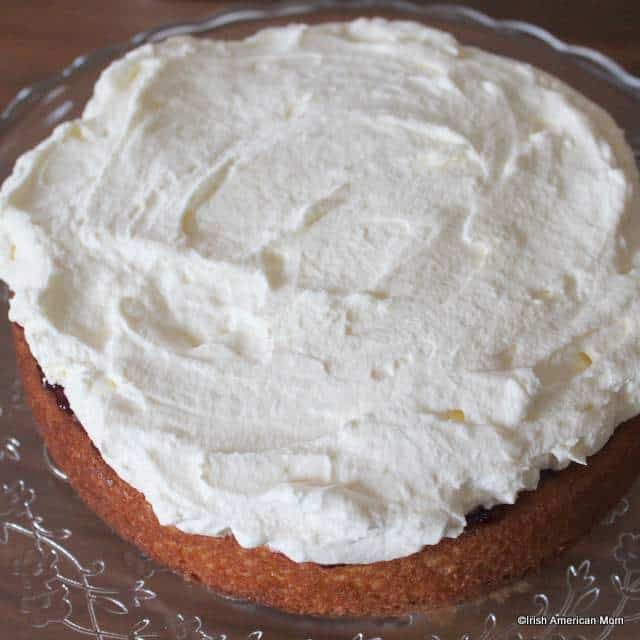 Previously I shared my recipe for an Irish Sponge Cake, which is a butter free and slightly lighter sponge cake, made with just eggs, sugar and flour. 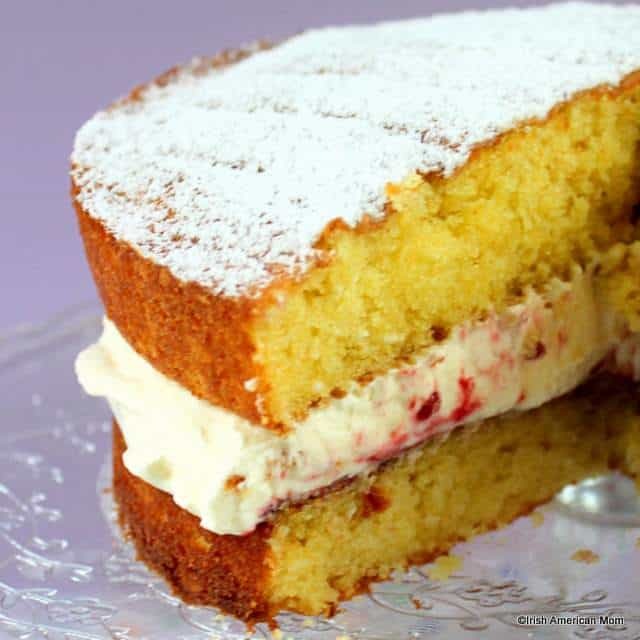 Ingredients for a traditional Victoria Sandwich are also simple and wholesome – eggs, flour, sugar, and butter. 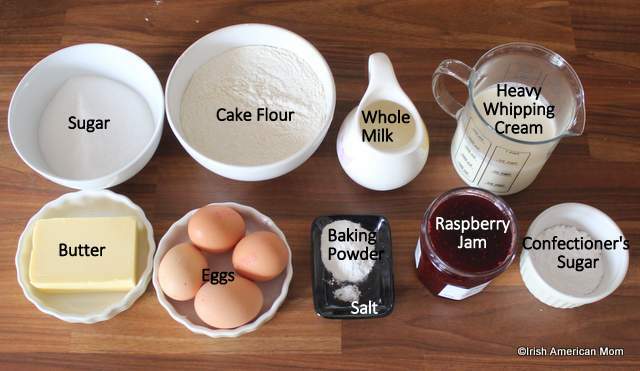 When I baked with my mother as a child we would always decide our ingredient ratio like this…. Depending on the size of the sandwich trays, that translated to 8 oz of butter, 8 oz of sugar, 4 eggs and 8 oz of flour, for a 7- or 8-inch round baking tray. For baking trays of 6 inch diameter or less, our recipe called for 6 oz butter, 6 oz of sugar, 3 eggs and 6 oz of flour. I still remember the ratios to this very day, but my challenge in America is to convert this ratio to cups. 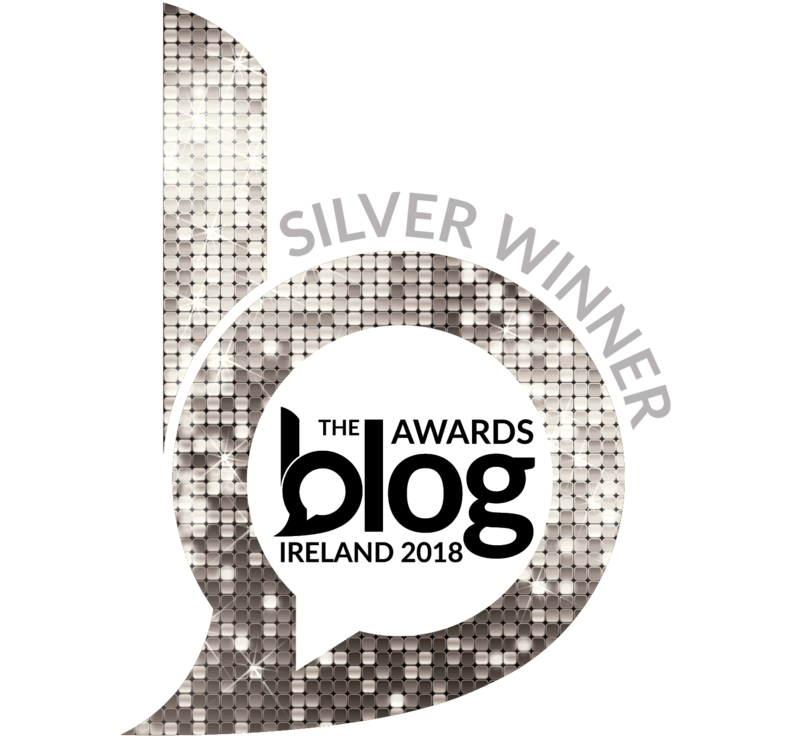 Then, to confuse me even more, Ireland switched to the metric system and my straightforward 8:8:4:8 got turned upside down with all those grams and kilograms. But fear not, I’ve worked out my measurements for baking success in America and I’ve included both an American and European printable recipe at the bottom of this post. In days gone by cooks would actually weigh the eggs they used. Since eggs were available straight from the chicken coop or hen house, they came in many sizes. The 8:8:4:8 ratio would call for 4 ounces of eggs, which might be 3 or 4 depending on how big the eggs were. In today’s modern grocery stores our eggs are pretty uniform in size so there’s no need to weigh them. 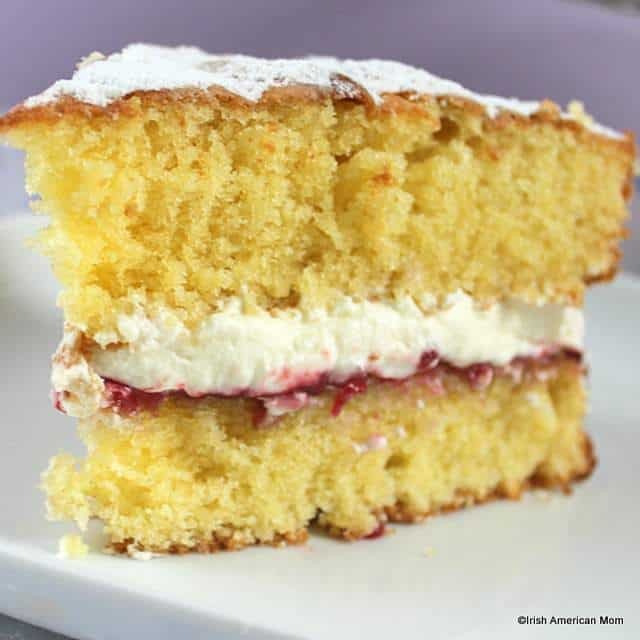 Now, for American bakers I highly recommend using cake flour for a Victoria sandwich. It’s a far finer flour with less protein content than regular all-purpose flour. 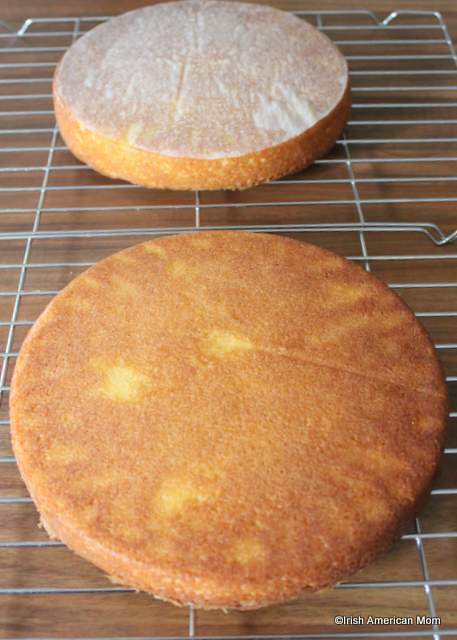 Cake flour is the answer for light and airy sponge cakes. First things first, you’ll need to turn on the oven so that it’ll be nice and hot when you’re ready to pop your cakes in to bake. Preheat the oven to 375° F or 190° C.
And always prepare your baking tins or pans before getting started. For any cake that needs to rise in the oven no time can be wasted between the time the wet ingredients meet the dry. So always have those pans ready and waiting. My recipe calls for two 8-inch round baking pans. 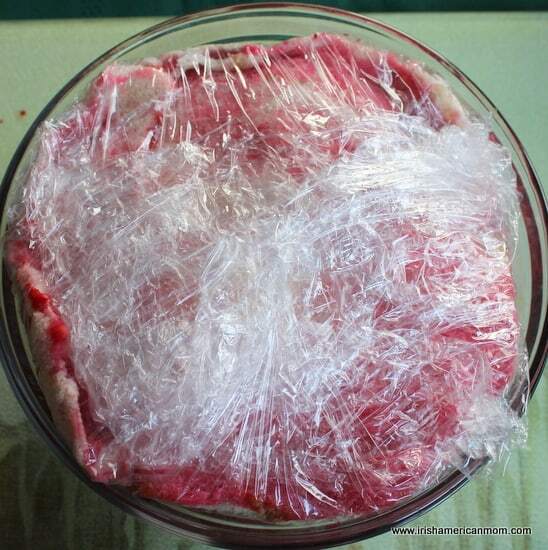 Grease the bottom and sides with butter, and then cut out a parchment paper circle to cover the bottom of the pans. I even add a little more butter on top of the parchment paper to ensure they easily lift of the baked cake surface. If you don’t have any parchment paper, then dust the buttered pan with a little flour. Next, prepare the dry ingredients. 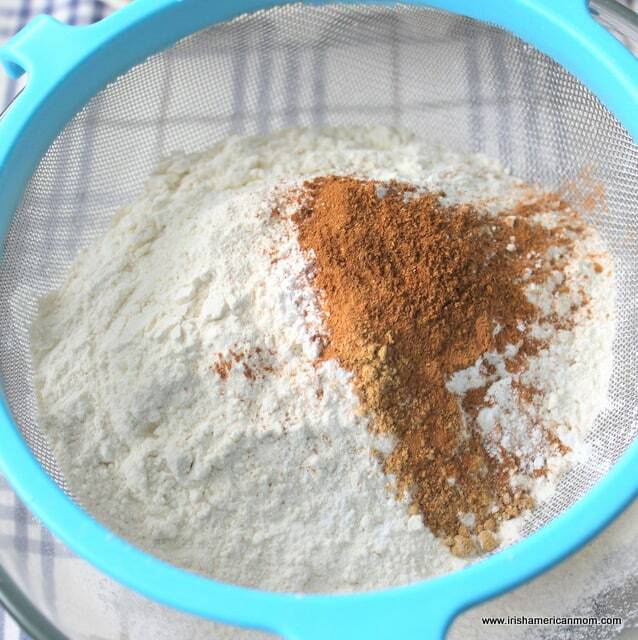 Sift the cake flour, baking powder and pinch of salt together. In Ireland I use regular self rising flour, but in America I add baking powder to cake flour since I have never found self-rising cake flour in any f the states where I have lived. 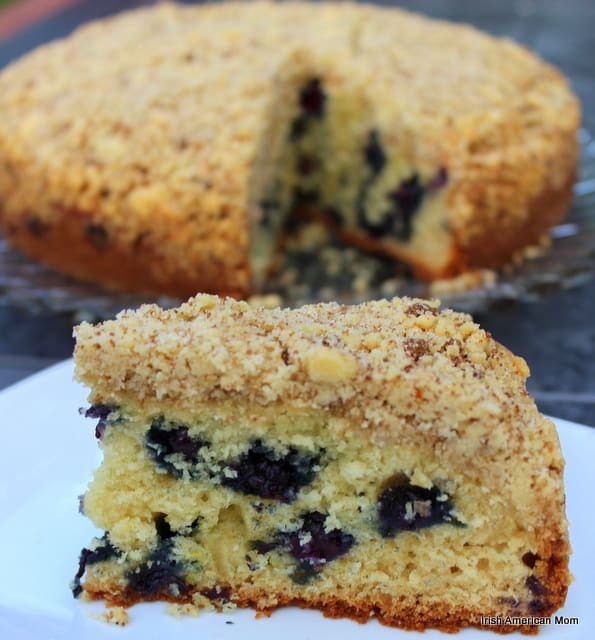 Remember sifting the flour adds extra air and lightness to the finished sponge. Cream the butter and sugar together until the mixture is light and fluffy. The butter will turn a much lighter shade of pale as you beat it and whip some air into it. Do not rush this step. It takes quite a bit of beating to achieve a light, fluffy texture. 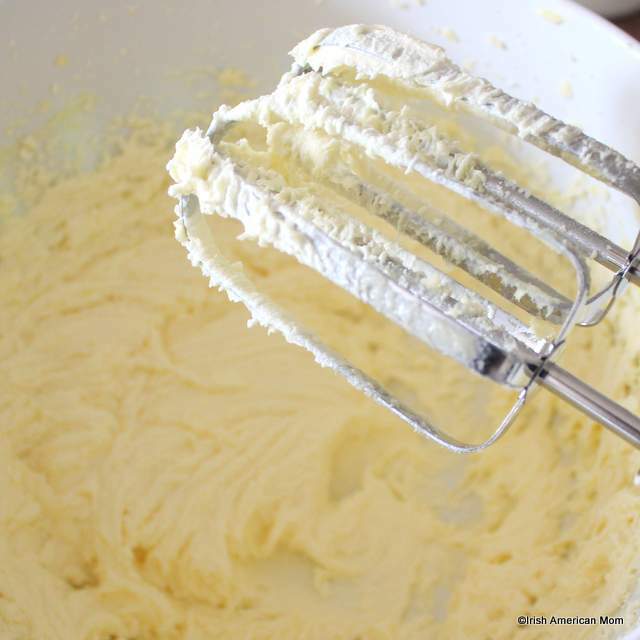 Every time my teacher peered into my mixing bowl I would say a little prayer the butter was creamed enough. A shake of the head meant that butter needed a lot more beating and arm muscle aches were definitely in store. Add the eggs one at a time with a spoonful of flour. Mix on low speed to avoid curdling the eggs. Next, add half of the flour with a tablespoon of milk and fold into the butter mixture with a spatula. Repeat with the remainder of the flour. Be very gentle with the batter as you fold in the flour. 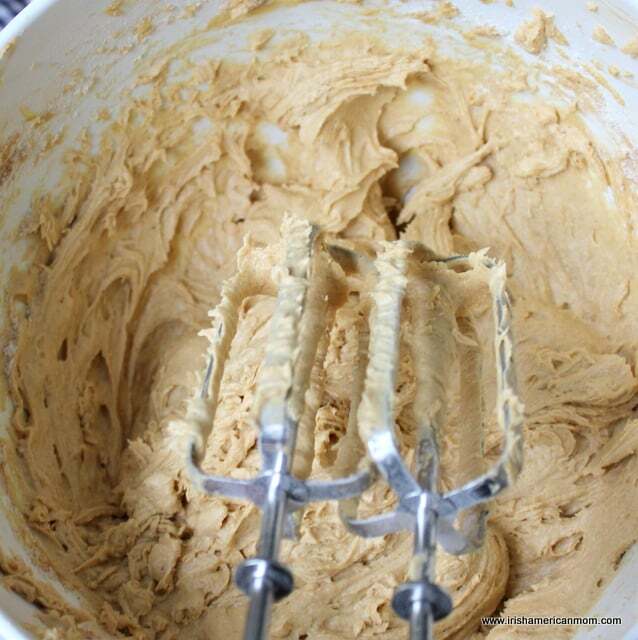 Divide the batter between the two baking pans and smooth the surface with a spatula or the back of the spoon. I always shape a little hollow in the center of the sponges, to prevent them from rising in a peak in the middle of the cake. Victoria sandwiches always have a flat upper surface. Bake in the pre-heated oven for 18 to 20 minutes until the tops are golden brown. Remove from the oven and cool for 5 minutes in the baking trays. Next, turn the sponge cakes out onto wire racks to cool completely. When at room temperature place one half of the sponge, top-side-down, onto a serving plate. Spread the raspberry jam over the surface. Whip the heavy cream with two tablespoons of the confectioners’ sugar (or less if you don’t like sweet cream.) Spread the cream over the jam. Place the second sponge layer on top of the cream. Dust the top with sifted confectioners’ sugar. 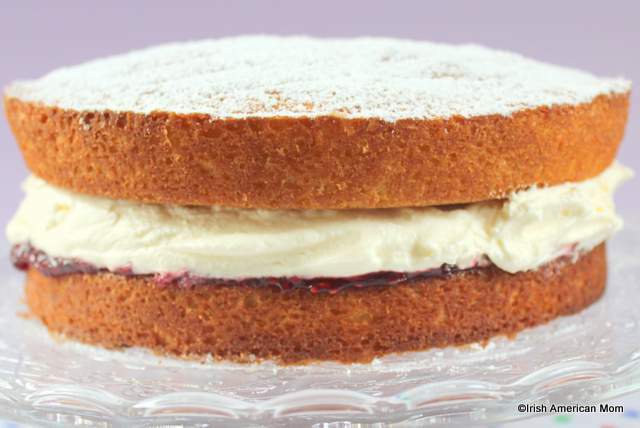 And voilà , there you have it, a deliciously light and luscious, jam and cream sponge sandwich cake. Enjoy with your favorite cup of afternoon tea, a cup of joe, or as my kids like it, with a class of cold milk. Here’s my recipe for readers in the United States. Remember cake flour is the best for this cake, if you want an authentically Irish or English texture to your light and airy sponge cake. 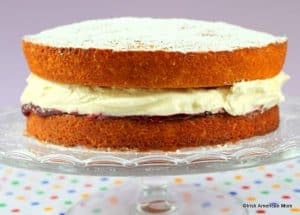 A traditional English sponge recipe, this cake consists of two sponge layers sandwiched together with raspberry jam and cream and dusted on top with sugar. 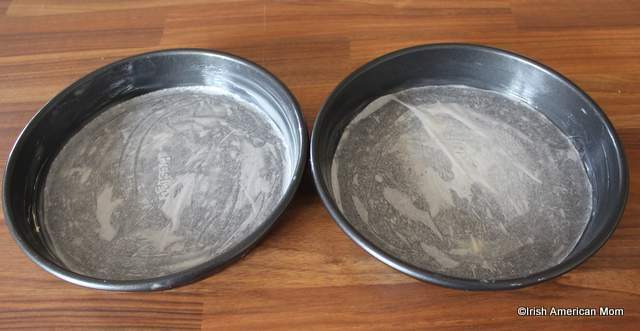 Prepare two 8 inch round baking pans by greasing the surface with butter and lining the bottoms with parchment paper. 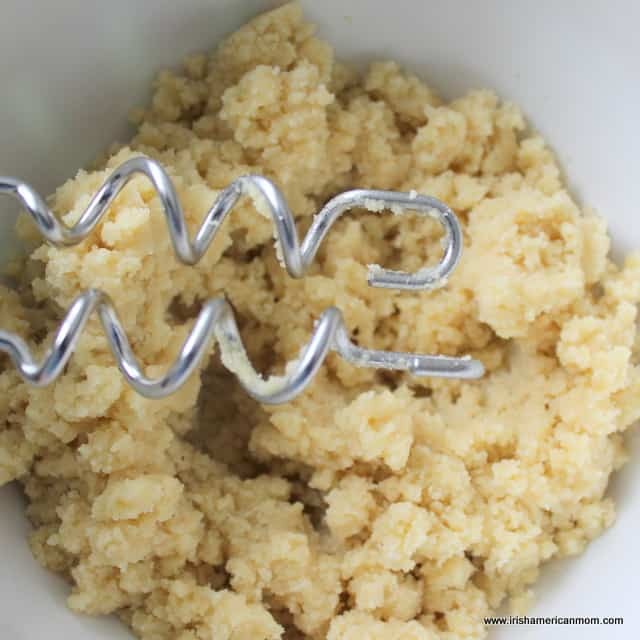 Add one egg at a time with a spoon of flour to the butter mixture and mix together on a low speed. 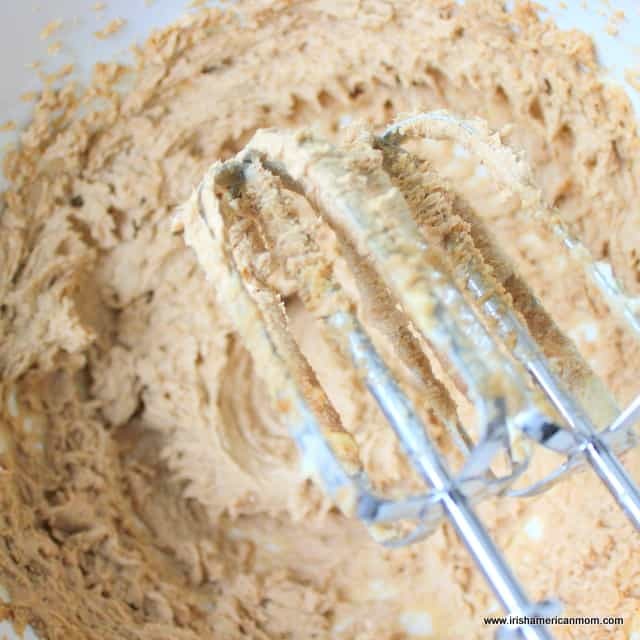 Add half of the remaining flour with half the milk and gently mix the batter with a spatula. Repeat with the remainder of the flour. Divide the batter equally between the prepared baking pans. Smooth the top of the batter with a spatula or the back of a spoon. Bake for 18 to 20 minutes in the pre-heated oven until the cakes are risen and golden brown. Remove from the oven and set the baking trays to cool on a wire rack for 5 minutes. When slightly cooled turn each sponge out onto the wire rack to cool completely. 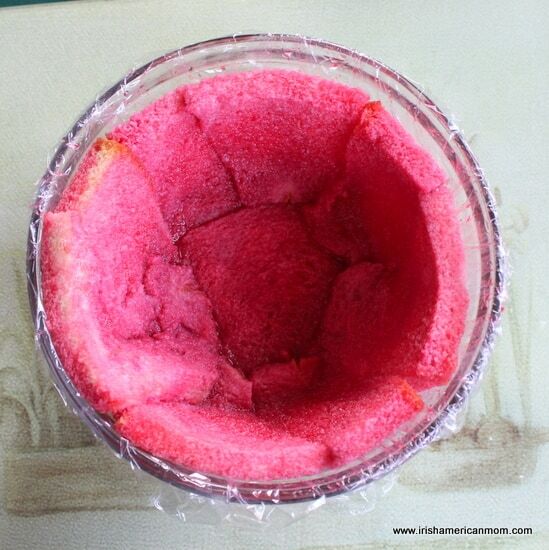 Remove the parchment paper liners from the lower surface of the sponges. Whip the heavy cream with two tablespoons of confectioner's sugar until thickened. When the sponge cakes are cooled completely place one cake half on a cake dish. 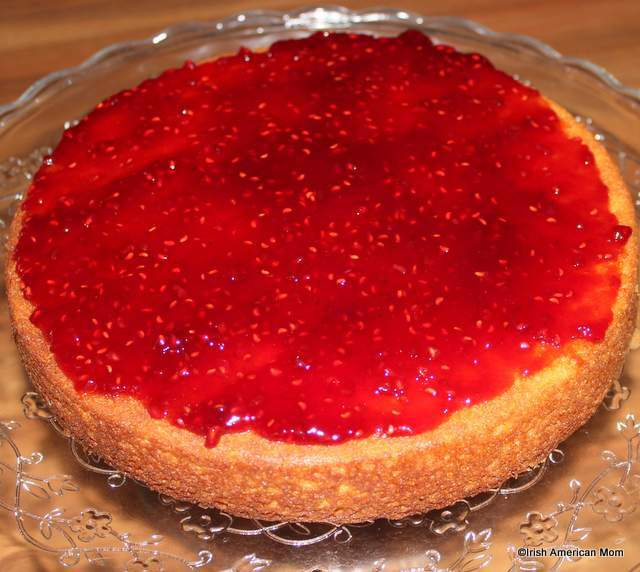 Spread the upper surface with raspberry jam. Cover the jam with the whipped cream and place the other cake half on top. Dust the top with the remainder of the confectioner's sugar. Step 1 Prepare two 8 inch round baking pans by greasing the surface with butter and lining the bottoms with parchment paper. Step 2 Preheat the oven to 190 degrees C.
Step 3 Sift the flour, baking powder and salt into a bowl and set aside. Step 4 Cream the butter and sugar with an electric mixer until light and fluffy. 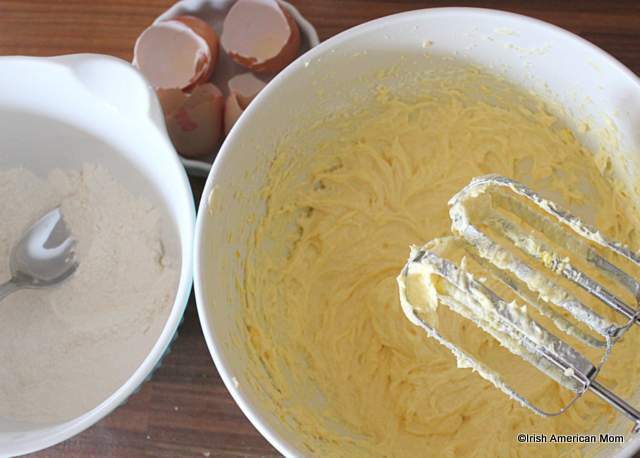 Step 5 Add one egg at a time with a spoon of flour to the butter mixture and mix together on a low speed. Step 6 Add half of the remaining flour with half the milk and gently mix the batter with a spatula. Repeat with the remainder of the flour. Step 7 Divide the batter equally between the prepared baking pans. Smooth the top of the batter with a spatula or the back of a spoon. Step 8 Bake for 18 to 20 minutes in the pre-heated oven until the cakes are risen and golden brown. Step 9 Remove from the oven and set the baking trays to cool on a wire rack for 5 minutes. When slightly cooled turn each sponge out onto the wire rack to cool completely. Remove the parchment paper liners from the lower surface of the sponges. Step 10 Whip the heavy cream with two tablespoons of confectioner's sugar until thickened. 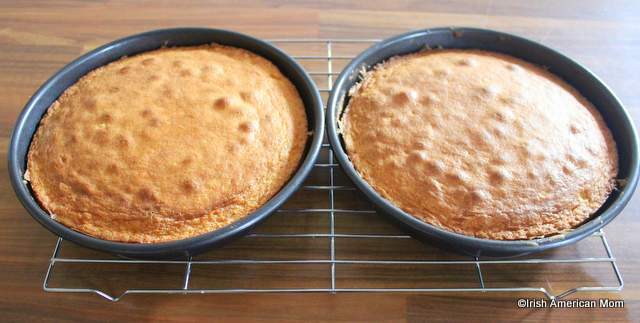 Step 11 When the sponge cakes are cooled completely place one cake half on a cake dish. Spread the upper surface with raspberry jam. Step 12 Cover the jam with the whipped cream and place the other cake half on top. Step 13 Dust the top with the remainder of the confectioner's sugar. 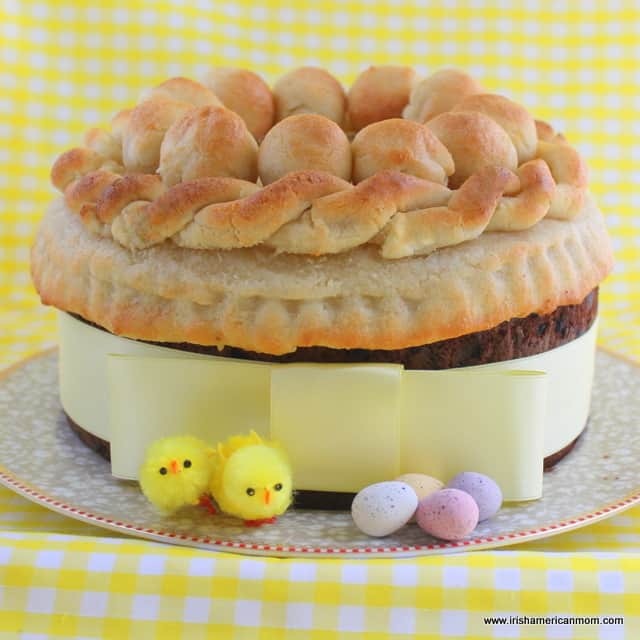 Simnel cake is a traditional Easter cake baked in Ireland and throughout the British Isles. A rich fruity cake, it has a layer of almond paste baked into the middle and is covered with a thick layer of toasted almond icing. A circle of marzipan balls decorate the top. The history, origins and symbolism of Simnel cake are fascinating, so I thought this Easter I would try my hand at creating this cake from days gone by. But you know me, I love to ramble. So before we get cooking, here’s a little history lesson ….. In Ireland and the United Kingdom, Mother’s Day falls on the mid-Sunday of Lent. Dating back to Elizabethan times, Mothering Sunday called for a special cake to be baked for mothers. Servants who had been hired at the New Year were given a holiday in mid-Lent to return home to see their mothers. To prove their newly acquired cooking skills they brought with them a ‘Mothering’ cake or ‘Simnel’ cake. Because the rules surrounding the Lenten fast were very strict in those days, the cake had to be rich enough, so that it would not spoil before Easter. Servant girls not only brought home simnel cakes as evidence of newly-acquired baking skills, but sometimes a recently met sweetheart also accompanied her home for family approval. But there were twelve apostles, I hear you say. Very true, but when it comes to Simnel cake, Judas is left out in the cold. Traditionally eleven, or sometimes twelve, marzipan balls are used to decorate the top of the cake. These represent the apostles, minus Judas. Eleven balls are the apostles on their own. If twelve are used they represent Jesus and the eleven apostles, again without Judas. Judas, being a traitor is never given a look-in on a Simnel cake. 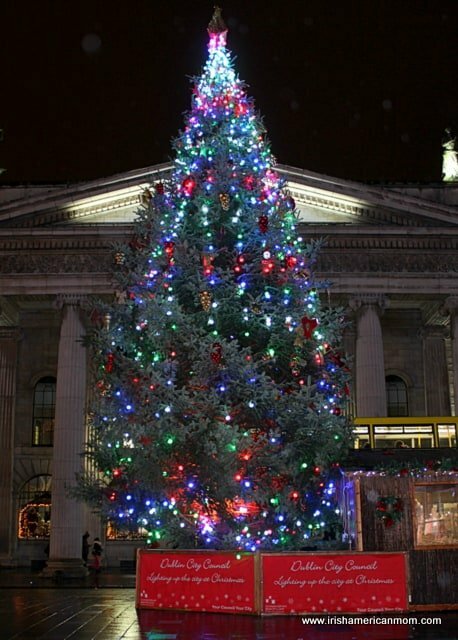 This tradition developed late in the Victorian era. Prior to that these cakes were decorated with preserved fruits and flowers. Exact origins of the word ‘simnel’ are unclear. In 1226 a Medieval document refers to “bread made into a simnel”. Historians believe that this refers to the finest white bread derived from the Latin ‘simila’ meaning ‘fine flour’. A popular legend attributes the creation of this cake to Lambert Simnel (1477 – ca. 1525). He was a pretender to the throne of England, and at the age of ten, threatened the reign of Henry VII, by claiming to be the Earl of Warwick. Now Simnel was lauded and supported in Ireland. On 24 May 1487, Simnel was crowned “King Edward VI” at Christchurch Cathedral in Dublin. 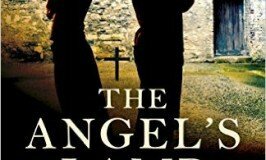 Alack and alas, his army was quickly defeated upon invading England, and Simnel was arrested. Because Henry VII believe the boy was merely a puppet in the hands of misguided adults, he pardoned Simnel. He was sent to work in the royal kitchen where legend has it he created the cake that bears his name. The truth of this story is questionable. References to the cake are found before Simnel’s time, but perhaps he created his own special version of this rich fruit cake. Check out the full story of Lambert Simnel on Wikipedia. How Is This An Irish Tradition? 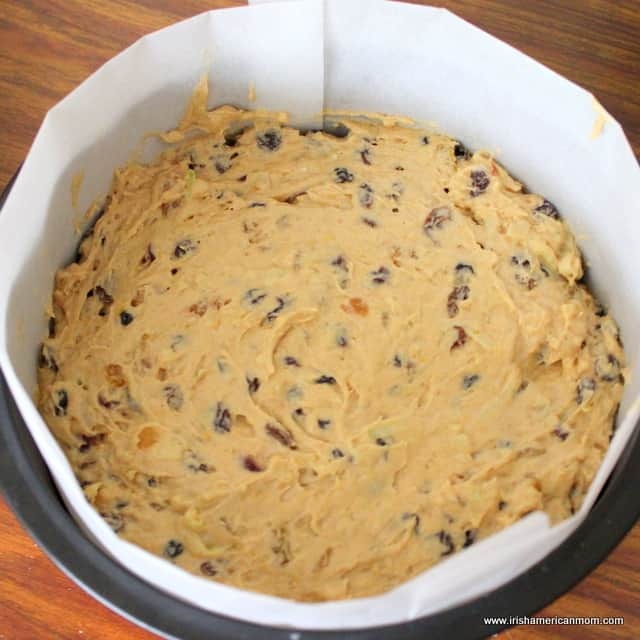 The origins of this cake are definitely English, but the practice of bringing a Simnel cake home on Mothering Sunday also carried over to Ireland throughout the centuries. 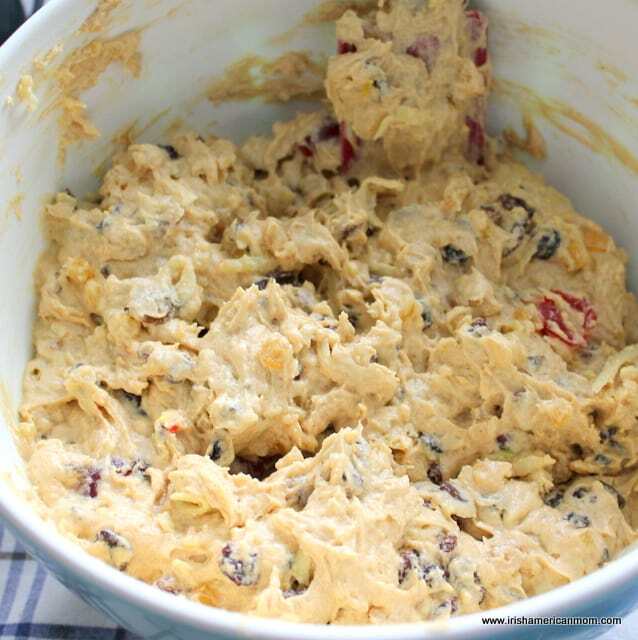 Many Irish girls worked as servants in the “Big Houses” of Ireland, and they too would have been provided the ingredients to make this luscious fruit cake for their families. 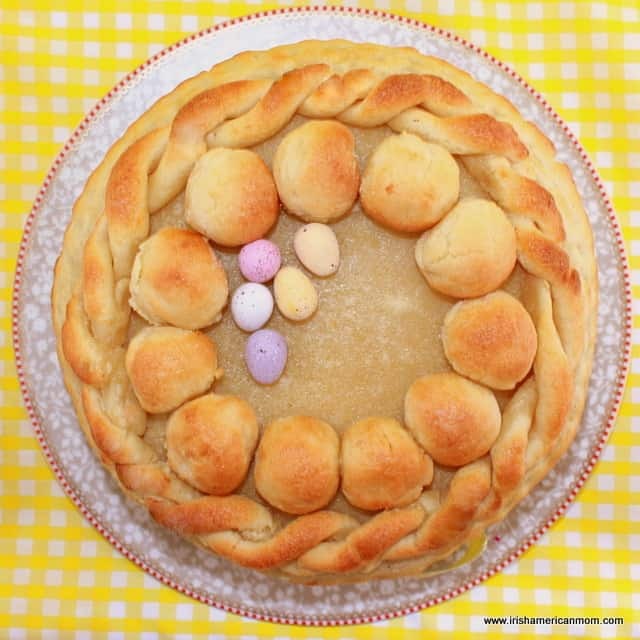 Simnel cakes are very much associated with Easter in parts of rural Ireland. 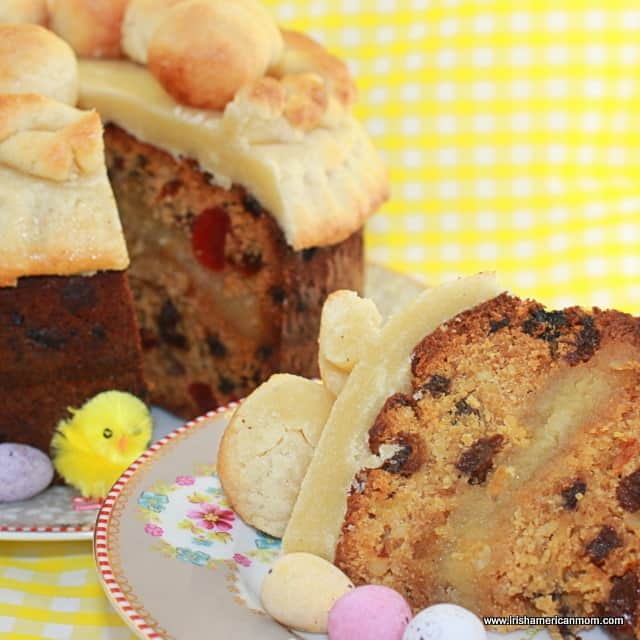 Darina Allen, a renowned traditional Irish cook bake a Simnel cake at Easter. For my cake I made a slightly less rich fruit cake than Darina Allen’s recipe, and used others I found in my mother’s old cookbooks from the 1960’s. I adapted recipes from Full And Plenty by Maura Laverty and Marguerite Patten’s Everyday Cookbook. 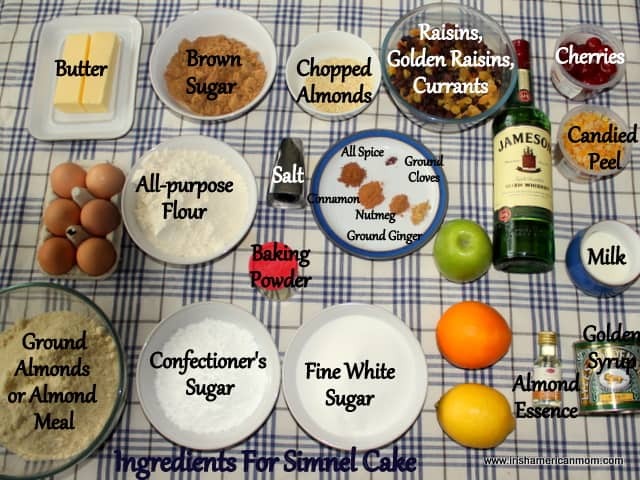 And so, without further ado, here’s how I make my Simnel Cake. 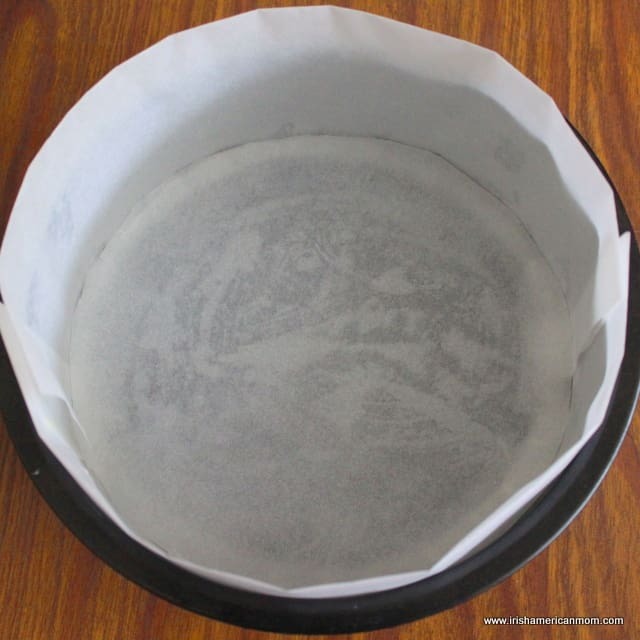 Prepare a 9-inch round baking pan by lining the base and sides with parchment paper. Cover the sides with brown paper. Mix the dried fruit, chopped almonds, cherries, and mixed peel with the grated orange and lemon zests. Add the whiskey and set aside for at least one hour to soak. If you soak the fruit for more than an hour it’s best to hold off on adding the grated apple until just before adding the fruit to the cake batter. Next make the almond paste. Sift the confectioner’s sugar. Mix with the ground almonds and fine sugar. Beat the eggs and add a drop of almond essence, and whiskey if used. 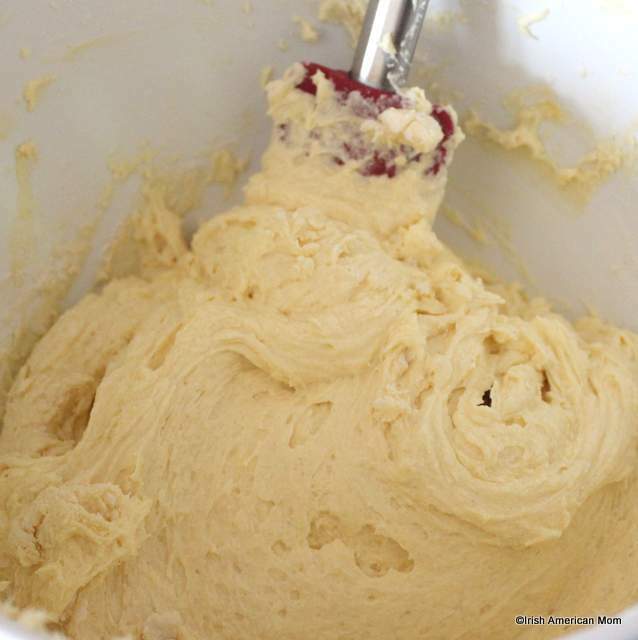 Mix with the dry ingredients to form a stiff paste similar to pastry consistency. You may not need all the egg mixture, depending on the size of the eggs used. I like to use pasteurized eggs. The paste is toasted in the oven for this, but it may not heat for a long enough period to eliminate all risks associated with eating uncooked eggs. Sprinkle a flat work top with confectioner’s sugar and knead the almond paste until smooth. Set aside. Preheat the oven to 350° F. Cream the butter and brown sugar until light and fluffy. Sift the flour, baking powder, salt and spices into a separate bowl. Add the eggs to the butter mixture one at a time, beating well. Add one tablespoon of flour with each egg to prevent curdling. Add the golden syrup and mix gently. 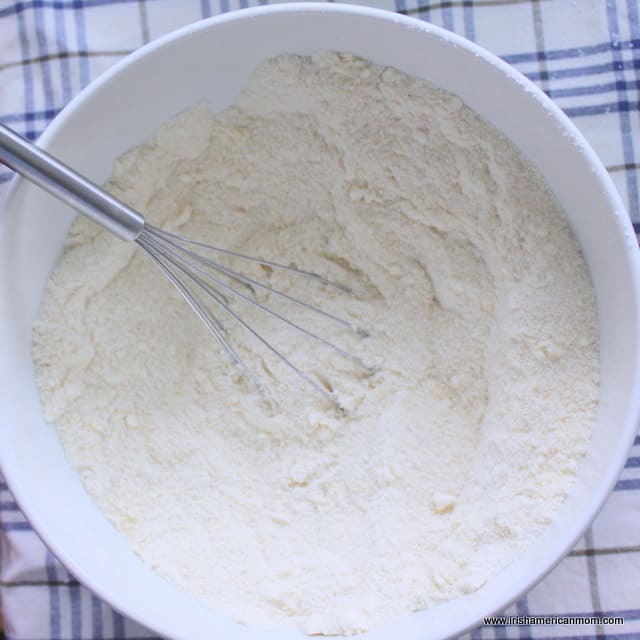 Fold the flour gradually into the mixture adding a tablespoon or two of milk with the flour. Grate the apple and add it to the soaking fruit. 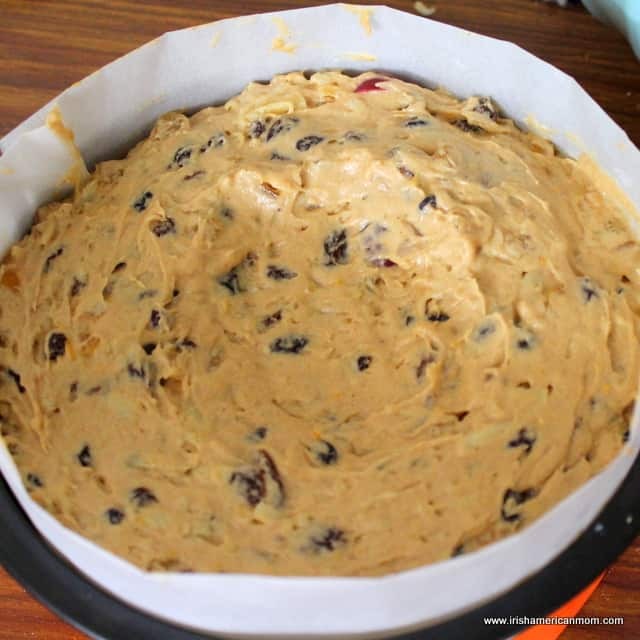 Gently fold all of the fruit into the cake mixture. Add half of the cake mixture to the prepared tin. Roll out half the almond paste and cut into a 9-inch round. Place on top of the cake mixture in the tin. Cover with the remaining cake mixture. Using the back of a large spoon make a slight hollow in the center to prevent the cake rising to a peak as it bakes. Cover the top of the cake with a piece of brown paper to prevent it from burning. Place the baking pan in the pre-heated oven. After 30 minutes reduce the heat to 325° F and bake for a further 2 hours. Test the center with a skewer. It should come out clean when cooked. Allow to cool for a day. Remove the cake from the tin. If not ready to decorate the cake, leave the lining paper on the cake, wrap in additional parchment paper and store in an air tight tin until ready for decorating. When ready to decorate the cake, roll two-thirds of the remaining almond paste into a 9-inch round. Brush the cake with a little lightly beaten egg white. Place the round of almond paste on top. Make eleven balls with the remaining almond paste. I got a little carried away this time, creating a twist of almond paste also. I used the edge of a small flan dish to imprint the sides of the almond past too. 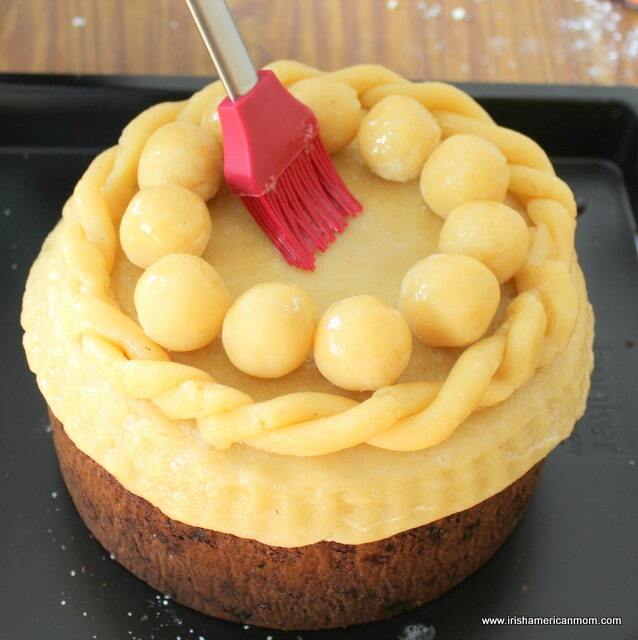 Brush the top of the cake with beaten egg white and place the marzipan balls around the top in a circle. Brush with more beaten egg. Toast in a preheated 425°F oven for 15 minutes until the top is slightly golden. Decorate with Easter novelties as desired. My little girl loved playing with these chocolate eggs and Easter chicks and set up and took the photo above. She’s ever so proud of her handiwork. Simnel cake can be served when slightly warm after toasting it in the oven, or allowed to cool completely before slicing. 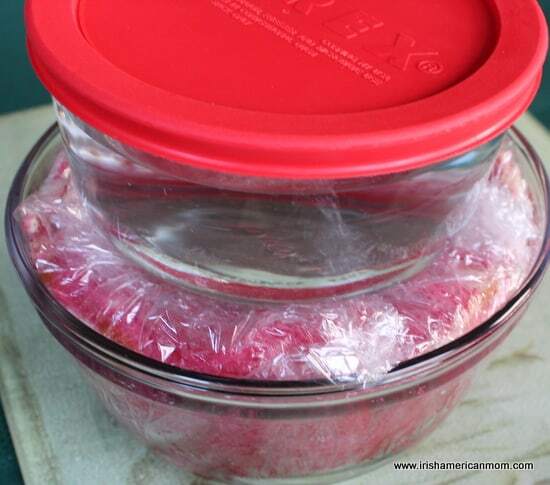 The cake can be stored in an air-tight container for up to 3 weeks. I recommend adding a little whiskey to the almond paste if you are planning to store it. The alcohol acts as a preservative. Sounds very morbid from the lips of an eight year old, but I think she was trying to ask, if she will have these old traditional recipes in years to come. She sensed history in the baking of this cake. I reassured her she will have my blog and my recipes. That’s what my recipes and ramblings are all about. Wishing every one a very happy Easter. Simnel cake is a rich fruit cake, with a layer of almond paste baked in the center and is covered with a thick layer of toasted almond paste. A circle of eleven marzipan balls decorate the top, signifying the eleven apostles without Judas. 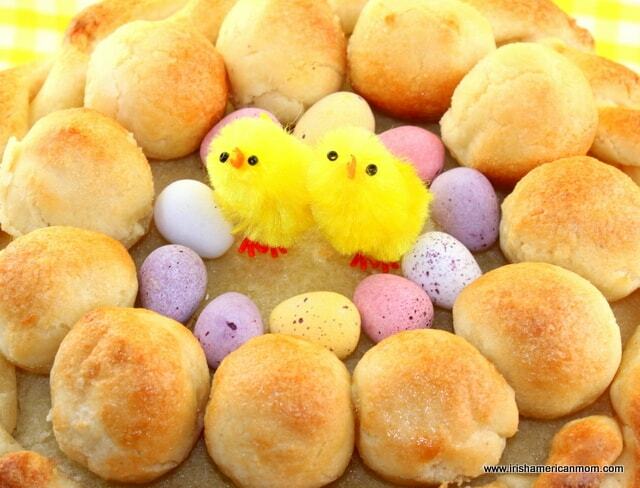 This is a traditional Easter cake in England and Ireland. 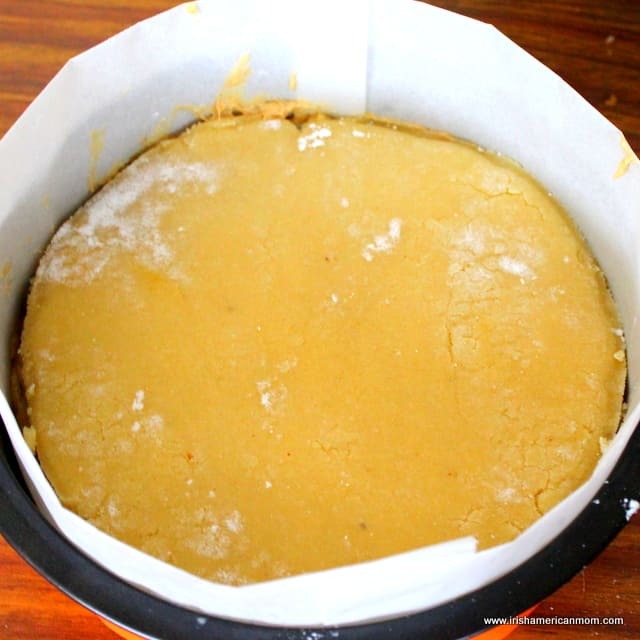 Step 1 Prepare a 9-inch round baking pan by lining the base and sides with parchment paper. Cover the sides with brown paper. 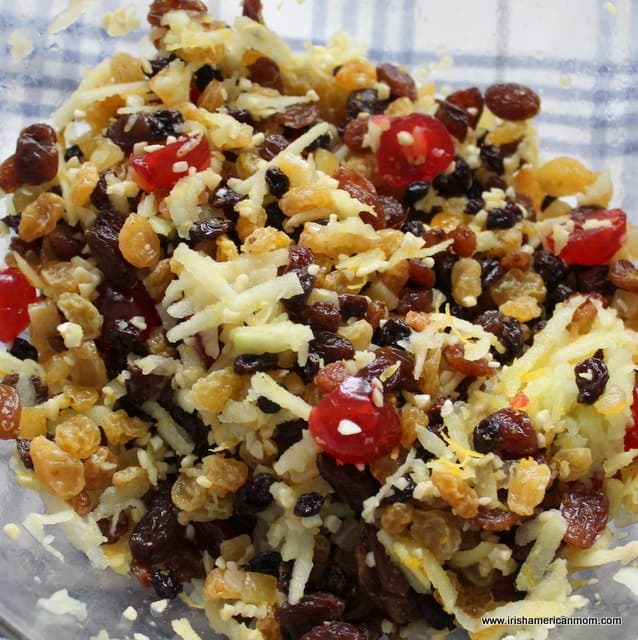 Step 2 Mix the dried fruit, chopped almonds, cherries, and mixed peel with the grated orange and lemon zests. Add the whiskey and set aside for at least one hour to soak. Step 3 Next make the almond paste. Sift the confectioner's sugar. Mix with the ground almonds and fine sugar. Step 4 Beat the eggs and add a drop of almond essence, and whiskey if used. 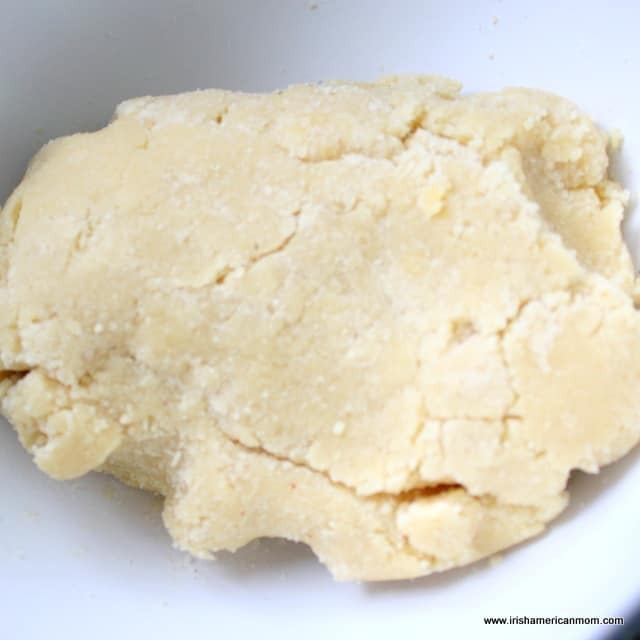 Mix with the dry ingredients to form a stiff paste similar to pastry consistency. You may not need all of the egg mixture, depending on the size of the eggs used. Step 5 Sprinkle a flat work top with confectioner's sugar and knead the almond paste until smooth. Set aside. Step 6 Preheat the oven to 350° F. Cream the butter and brown sugar until light and fluffy. Step 7 Sift the flour, baking powder, salt and spices into a separate bowl. Step 8 Add the eggs to the butter mixture one at a time, beating well. Add one tablespoon of flour with each egg to prevent curdling. Step 9 Add the golden syrup and mix gently. 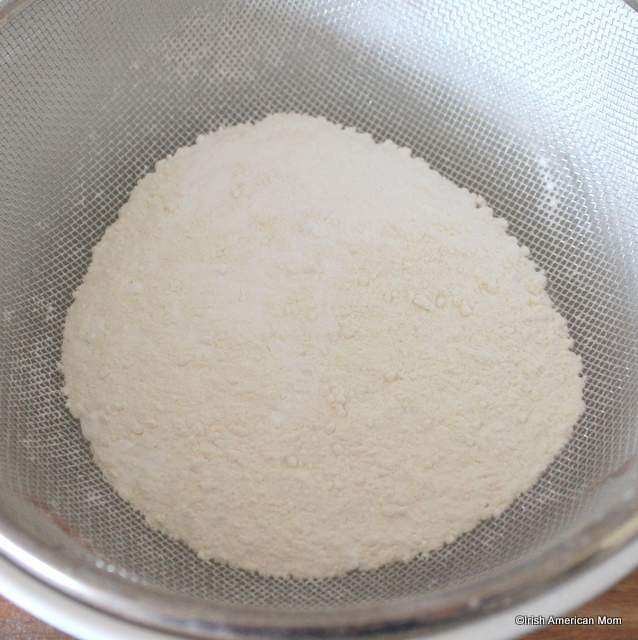 Fold the flour gradually into the mixture adding a tablespoon or two of milk with the flour. Step 10 Grate the apple and add it to the soaking fruit. Gently fold all of the fruit into the cake mixture. Step 11 Add half of the cake mixture to the prepared tin. Step 12 Roll out half the almond paste and cut into a 9-inch round. Place on top of the cake mixture in the tin. Cover with the remaining cake mixture. Step 13 Using the back of a large spoon make a slight hollow in the center to prevent the cake rising to a peak as it bakes. Step 14 Cover the top of the cake with a piece of brown paper to prevent it from burning. Place the baking pan in the pre-heated oven. After 30 minutes reduce the heat to 325° F and bake for a further 2 hours. Test the center with a skewer. It should come out clean when cooked. Step 15 Allow to cool for a day. Remove the cake from the tin. If not ready to decorate the cake, leave the lining paper on the cake, wrap in additional parchment paper and store in an air tight tin until ready for decorating. Step 16 When ready to decorate the cake, roll two-thirds of the remaining almond paste into a 9-inch round. Step 17 Brush the cake with a little lightly beaten egg white. Place the round of almond paste on top. 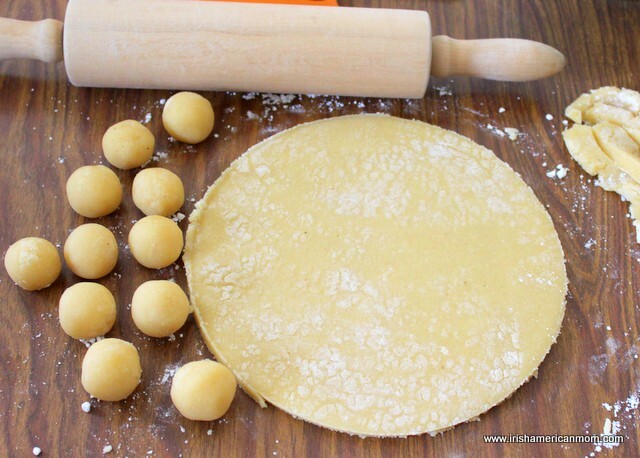 Make eleven balls with the remaining almond paste. Step 18 Brush the top of the cake with beaten egg white and place the marzipan balls around the top in a circle. Brush with more beaten egg. Step 19 Toast in a preheated 425°F oven for 15 minutes until the top is slightly golden. Step 20 Serve slightly warm or cold. Decorate with Easter novelties as desired. 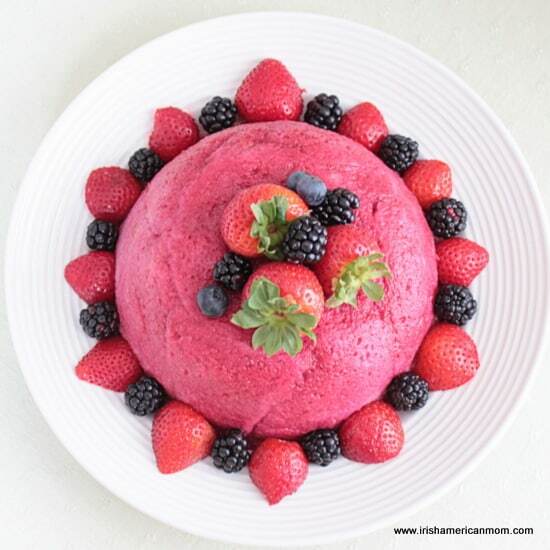 Summer pudding, packed with juicy fresh berries, is one of my all time favorite desserts of the summer. This pudding looks spectacular when plated, giving the impression it’s a pretty complicated recipe, but making this classically English dessert is so much easier than it looks. It’s so easy in fact, I think it’s a perfect recipe for beginners. 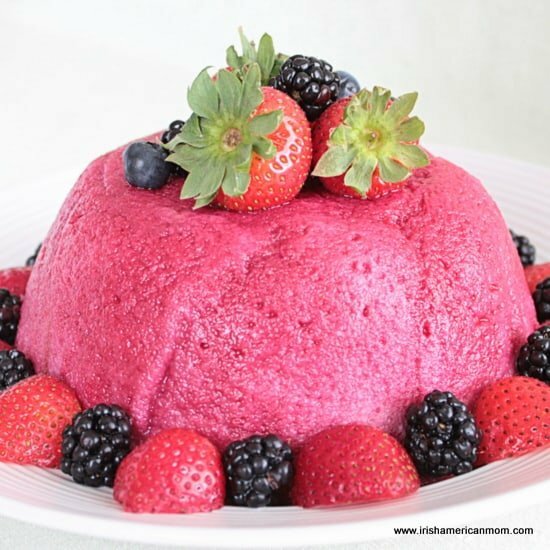 The red and blue fruits of this pudding are perfectly highlighted by white serving cream, making this a perfect dessert for 4th of July celebrations. 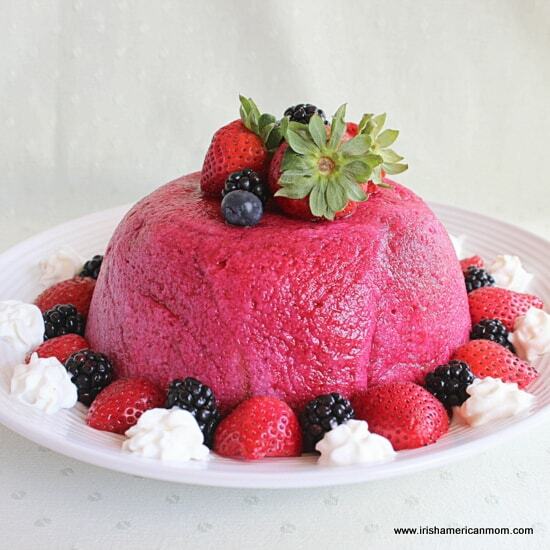 So today I plan to make summer pudding converts of all my American readers. 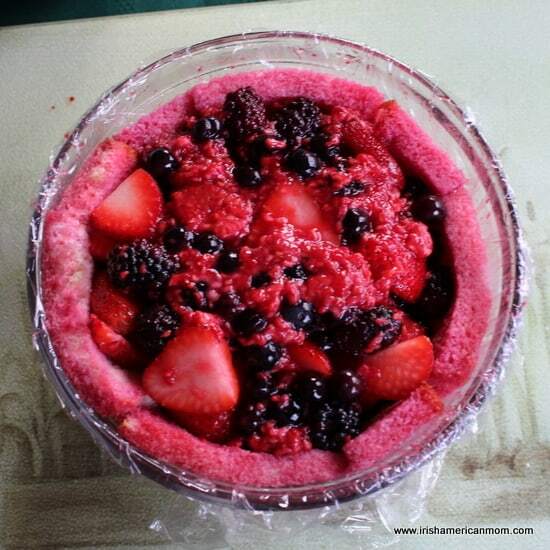 When in Ireland I make this pudding using strawberries, raspberries, blackberries, blackcurrants, and red currants. In a previous post I revealed my love of blackcurrants and my disappointment upon finding they are actually illegal to grow in some parts of America. Once I discovered currants are not grown in all states, and therefore not readily available, I substituted blueberries for the red and black currants in my summer pudding recipe. 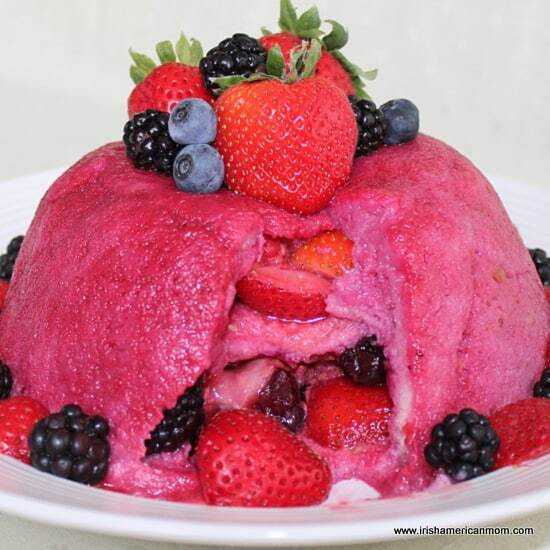 And always remember, if you can’t get your hands on enough fresh fruit, this pudding is just as delicious when made using frozen fruit. If you don’t have a pudding bowl you can make it in a loaf tin – no need to be fussy. Individual ramekins look really attractive too. This pudding looks very impressive, and can be made ahead, so it’s a really a great dinner party dessert. I often imagine the gentry of Downton Abbey enjoying a little summer pudding in July. 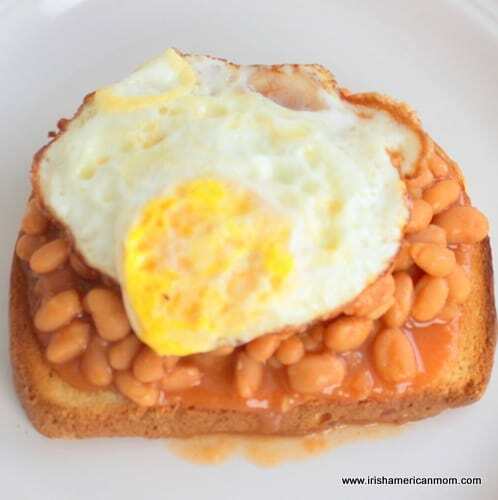 And so here’s my recipe….. The first step involves bringing out the juices from the fruits. Add the sugar and water to a large saucepan over gentle heat. Stir until the sugar dissolves. Bring to the boil and allow the syrup to simmer for 1 minute. 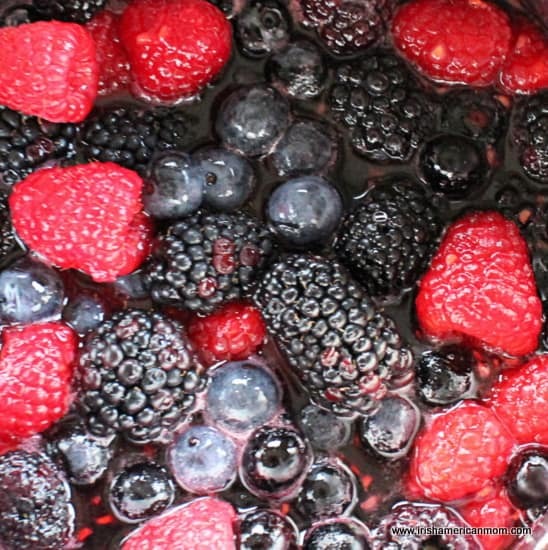 Add the raspberries, blackberries and blueberries to the syrup and reduce the heat to low. Some summer pudding cooks like to heat the strawberries too, but I find they turn too mushy when simmered. I recommend not cooking the strawberries. Cook the fruit for 3 minutes, stirring the mixture gently a few times, being careful not to break up the fruit. Shaking the saucepan works well to prevent sticking, but you do need to stir a little to cover the fruit in sugar syrup to draw out the juices. Remove the fruit from the heat and allow to cool slightly. 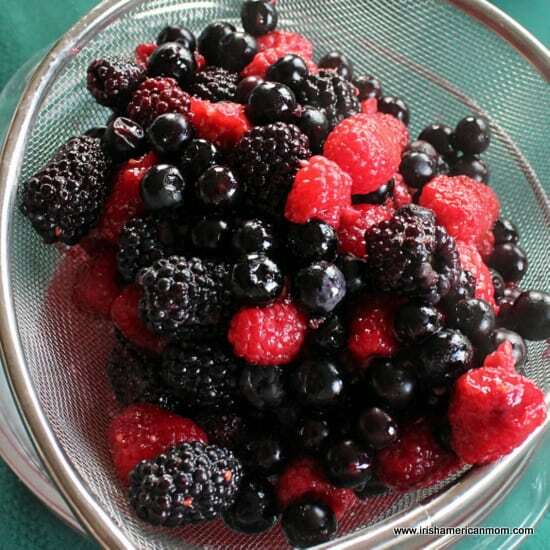 Strain the fruit using a sieve over a large bowl. The next step involves preparing the bread to line the sides of the pudding bowl. I use a 1.5 quart pudding bowl for this recipe. I find a country white bread is best, but you can use whole wheat bread or brioche. First remove the crusts from all the slices of bread. 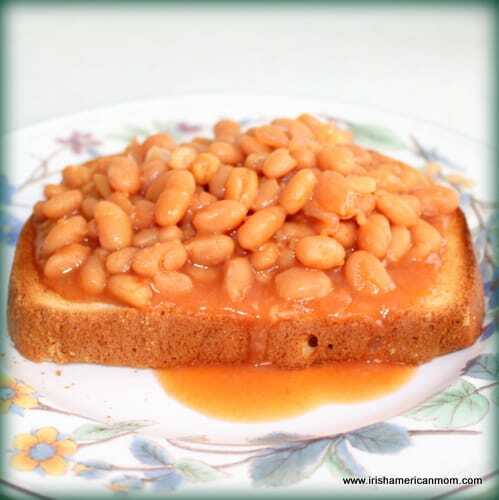 The sides require 4 slices of bread cut in half on a slight diagonal. 3 circles of bread are required for the bottom of the bowl, the middle of the pudding and to cover the base. 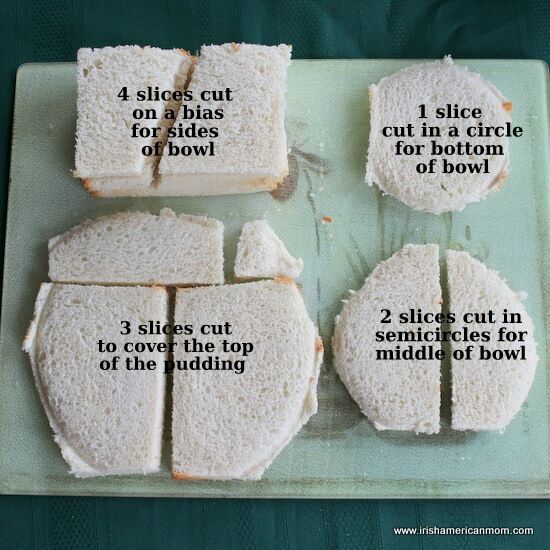 Use the bowl to cut a circle the size of the small end of the bowl from one slice of bread. 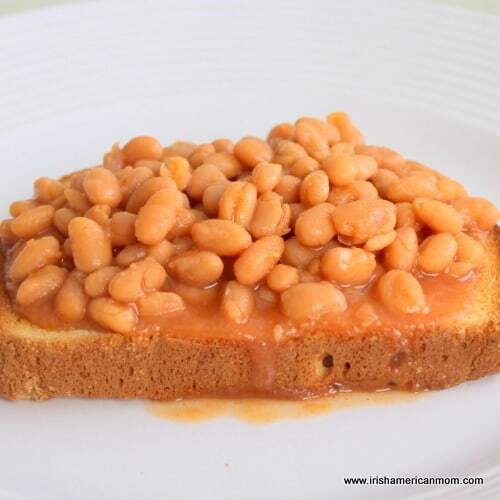 Place 2 slices of bread side by side, and use a saucer to cut two semi-circles. This will be the circle for the middle of the pudding. Place 2 slices of bread side by side with another one perpendicular, and cut a circle the size of the large open end of the bowl. Use 2 x 20 inch sheets of plastic film to line a 1.5 quart pudding bowl, allowing the excess film to hang over the sides of the bowl. I find it’s easier to use two pieces of plastic wrap rather than trying to get one large piece to fit into the bowl. Without the plastic wrap the pudding may end up sticking to the basin. Nobody wants a messy heap on plate when serving. I like to soak dip the bread pieces in the juices as I assemble the pudding. It prevents white patches of bread with no juice in the finished pudding. Note: A reader let me know his finished pudding would not hold its shape, even when chilled overnight. He may have oversoaked the bread pieces. The goal of dipping the bread pieces is to color them red, so only dip them long enough to get an even color on the outer surface of each piece. Saturating the bread will result in a wobbly pudding. 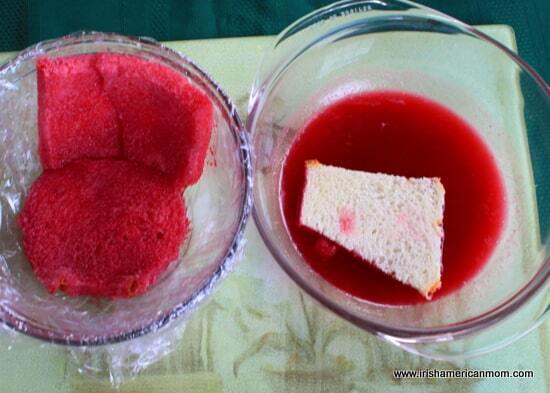 First, take the smallest circle of bread and dip it into the fruit juices to coat it. Place it at the very bottom of the pudding bowl. Next dip the triangular side pieces into the juice. Line the sides of the bowl by slightly overlapping the bread pieces. Add the sliced strawberries to the fruit mixture. Spoon one third of the fruit into the bowl. Dip the smaller two semi-circular bread pieces into the fruit juice. Place them over the first layer of fruit. I like to add this extra layer of bread in the middle of the pudding. I find it helps to support the fruit and the pudding doesn’t collapse when you cut it for serving. Add the remainder of the fruit to the pudding bowl. Soak the larger semi-circles of bread in the juice and place them over the fruit in the bowl. Reserve any excess juice in a sealed container in the refrigerator. Sometimes when I make this pudding I have left over juices, and sometimes the bread just soaks it all right up. The amount of juice yielded is totally dependent upon how juicy your fresh fruit is. I usually keep a bag of frozen raspberries in the freezer. 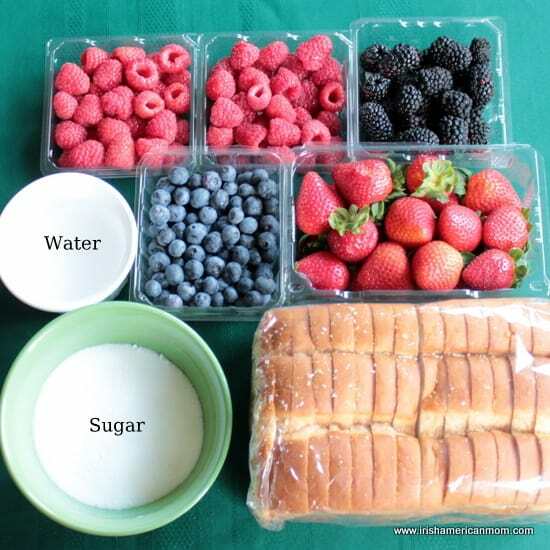 If the fruit I am using doesn’t yield enough fruit juice to completely soak the bread pieces, I quickly heat up some frozen raspberries with sugar and water to yield a little more juice. Bring the cling film up and over the bottom of the pudding. Place a smaller plate or saucer on top of the pudding and weigh it down with cans. Sometimes I just place another bowl filled with water on top. Chill in the refrigerator for 6 hours or overnight. To remove the pudding for serving, open out the saran wrap. Place a serving plate upside-down on top and flip the pudding over. 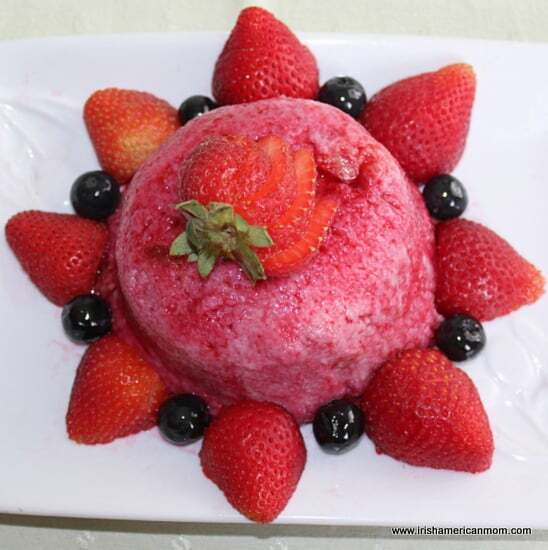 Decorate with left over strawberries or any other fruit. Serve slices of the pudding with leftover juice, and cream. I hope you enjoy this pudding as much as I do – it truly is a taste of summer. Step 2 Add the raspberries, blackberries and blueberries to the syrup and reduce the heat to low. Do not cook the strawberries. Cook the fruit for 3 minutes, stirring the mixture gently a few times, being careful not to break up the fruit. Step 3 Remove the fruit from the heat and allow to cool slightly. 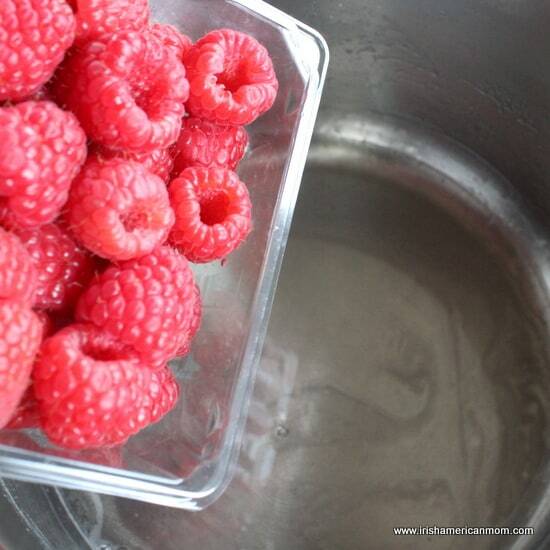 Strain the fruit using a sieve over a large bowl. Step 4 Remove the crusts from the slices of bread. Cut 4 pieces of bread in half on a slight diagonal. Place 2 slices of bread side by side, and another above them. Place the 1.5 quart pudding bowl upside down over the slices of bread and cut around the circumference to create two semi-circles of bread, plus an additional crescent. Step 5 Take another two slices of bread and use a saucer, smaller than the circumference of the bowl, to cut an additional two semi-circles for the middle of the pudding. Cut a smaller circle from the last slice of bread. Step 6 Use 2 x 20 inch sheets of plastic wrap to line a 1.5 quart pudding bowl, allowing the excess film to hang over the sides of the bowl. Step 7 Take the smallest circle of bread and dip it into the fruit juices to coat it. Place it at the very bottom of the pudding bowl. Next dip the triangular side pieces into the juice. Line the sides of the bowl by slightly overlapping the bread pieces. Step 8 Add the sliced strawberries to the fruit mixture. Spoon one third of the fruit into the bowl. Dip the smaller two semi-circular bread pieces into the fruit juice. Place them over the first layer of fruit. Step 9 Add the remainder of the fruit to the pudding bowl. Soak the larger semi-circles of bread in the juice and place them over the fruit in the bowl. Reserve the excess juice in a sealed container in the refrigerator. Step 10 Bring the cling film up and over the bottom of the pudding. Place a smaller plate or saucer on top of the pudding and weigh it down with cans, or another bowl. Step 11 Chill in the refrigerator for 6 hours or overnight. Step 12 To remove the pudding for serving, open out the saran wrap. Place a serving plate upside-down on top and flip the pudding over. Remove the saran wrap. Decorate with the additional strawberries and any other fruit of choice. Serve slices of the pudding with leftover juice, and cream.